Ellen Wilkinson School for Girls donates to Vinjeru. Megan Sanders & Aamnah Khan help to carry donated books. In June the Ellen Wilkinson School for Girls, based in north Ealing donated 4000 books to Vinjeru Education, a London based charity. The school, which specialises in science and mathematics, donated 2000 science books and 2000 maths books that were no longer required for the school's syllabus. The school had been gathering the books for the past couple of years hoping to find a worthy charity to donate to. The generous donation was added to educational supplies collected by the charity so far this year. Mary Chennell a trustee of the charity collected the books and with the help of her company Technica Systems Ltd transported them to the charity's freight company in Northolt ready to be shipped to Malawi. Many students and teachers from the school assisted with the sourcing and collection of the books and Vinjeru wishes to thank all those involved for their invaluable support. Liliane Augusto-Tavares, Aamnah Khan, Gerri Riley, Megan Sanders, Meryem Fadil, Mariam Hussain, Shada Haid, Ria Bennett, Alicja Stankiewicz, Aqsa Nadeem, Datchika Gnanachandran, Jasmine Malhotra, Zena Ahmed, Zoha Hussain, Nada Saoud, Lisa Sedigi, Maryam Hassan, Angelina Ryan, Shanthija Sugumar, Jennifer Kay, Sabahat Khalid, Hafsa Fadl, Morsal Sarajzada, Mariam Khan, Lava Amanj-Saeed, Fay Aliawy, Ayah Redha, Rifqa Al-Baidhani, Karolina Komor, Hannah Gardiner, Sara Jaderi, Jaida Wogu, Didjatou Seini, Lauren Ali-Williams, Anjlee Popat, Leah Bennison, Debbie Lwanga, Ashleigh Morris, Maria Adeniran, Maria Boldyova, Alaq Al-Asadi, Shefaa Al-Kaabi, Hana Jama, Caren Lamaa, Chloe Figueira, Zara Shahzad, Mona Badralishah, Thuraya Kanaan, Hafsa Abdi, Milan Elva-Baker and Leyla Mohamed. Mrs. Mitiksha Kerai and Ms Angela Knight. London's Big IF - ending world hunger. On Saturday 8th June an estimated 45,000 people gathered in London's Hyde Park to focus the world's attention on the food crisis that continues to dominate much of the developing world. Organisers of the event estimate one in every eight people around the globe goes to sleep hungry every night; a startling fact that has encouraged UK Prime Minister, David Cameron to pledge an additional £375m of core funding, bringing the UK's global agreement to £2.7bn. 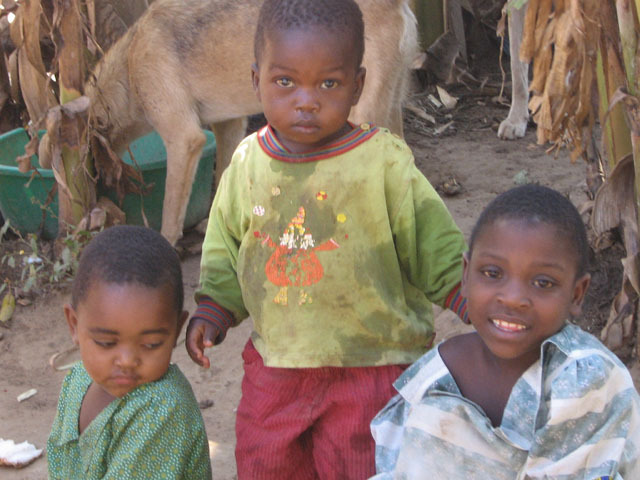 Malawi is one of the world's least developed countries and food security is an important issue. The country's majority rely on agriculture to support their families but, the period between the planting and harvesting of crops are the hardest months. Droughts and floods make putting food on the table Difficult. Currently two million people In Malawi are going hungry. By harvest time up to 36,000 children under the age of 5 will be suffering from severe malnutrition. Hunger not only affects the body but the mind also; leaving children struggling to read and write. In the name of the risen and reigning Jesus Christ, receive Easter greetings from Euthini Secondary School. We always cherish the honour in emailing you there and we also acknowledge receipt of your previous Email and the Newsletter attached to it. It is for the same reason that we note and highly applaud your unwavering effort to reach out to the needy in Malawi and beyond. The computers and Projectors that you donated to us are being fully utilised by pupils and teachers for teaching and learning activities. This has been supplemented with the subsequent donation of internet facilities by way of dongles and airtime for the purpose. Many pupils have learned and enjoy internet surfing. We wish to report that this has made life for teacher and pupils easier (Refer Pics attached) It is highly pleasing to note that Euthini Secondary School has Internet facilities now, largely for teaching and learning purposes. We also wish to report that efficiency of the Internet is slightly lower due to our geographical location vis-a-vis transmission towers. However, we must stress that we are using the facility. Additionally, the convenience and user-friendliness of the dongles and airtime have made life easy and ascribe to the notion that technology has reduced the earth to one small global village. Because we are able to access a great deal of information – learning, teaching to news materials as if we are in town but in one of remotest rural areas in Malawi. This explains the happiness and thanks we are to your organisation Still important, we wish to report that our Computer laboratory is a small room that was initially designed to be a classroom and we only redeveloped it for this purpose. This limits number of Computer users especially students who are frequent users and always in larger numbers than teachers. without Computers are forced to outsource services at exorbitant fees. Therefore, it has been to their relief that they have had unlimited access to our Computer Laboratory throughout the exercise, courtesy of the computer donation you made to us. To crown it up, we thank you so much for the precious assistance you render to us and we would like to reaffirm our continued commitment to this relationship with you. FOR: Management and Students of Euthini Secondary School. Trustee Mary Chennell, left, with Sue Hughes, head of Luton Sixth Form College English department, who grew up in Zomba, Malawi. We have been offered all the redundant books from Luton Sixth Form College English department, as the college is being demolished to make way for a new one. So far Vinjeru trustee Mary Chennell has made two trips to collect boxes of books. and Outlook Expeditions who help build the centre. On behalf of the students of Enukweni Community Day Secondary School (CDSS), members of the staff and the school committee, I write to sincerely thanyou for the wonderful donation of the computer which has been given to us through Vinjeru Education Concern. We are indeed very grateful for this donation. The computer you have given us has made the correspondence within the school and other external agencies much easier than it was before we had the computer. Our school has just been changed to a Secondary school called CDSS from a Distance Education Centre (DEC). In the former system, learning was by correspondence, in the later system learning will be by direct teaching. duplicator which would be very useful for examinations To improve the quality of education we need adequate resources to be available such as financial, material and trained human resources. therefore the computer donation will contribute to improving the quality of education being offered to the students of this school. This assistance is so important to Enukweni CDSS. It really shows that you are concerened with education quality. Find enclosed two photographs showing the computer being handed over by Ms Walije Gondwe with the pupils in attendance. We further would like to inform you that this donation could not have come at a better time than this when we most need it. The same computer has just been used to print this letter. We would appreciate any further help in any way you may find fit which would make us improve the quality of education at our school. In your letter to Chance Mughogho, dated 20 February, 2005, you talked of your organisation having a duplicating machine for my school - ­Nthalire CDSS. The news brought a lot of excitements and expectations amongst students and teachers in the school but as usual there were some who doubted as to whether this would turn into reality. The arrival of the machine into this school on 17 September, 2005 removed all those doubts and left people here mad with happiness. It is against this background that I am writing this letter. We, the people of Nthalire, are very thankful to Miss Walije Gondwe for a number of reasons. We thank her for making the world know Malawi and Nthalire in particular and for her honesty as regards ensuring that the items donated to her organisation reach those intended. Some irresponsible persons could end up selling them for personal gains. We thus thank her for sticking to the motto of Vinjeru Education in Malawi even when far away from the donors and trustees of the charity organisation. Above all we are thankful to Mama Walije for not being discriminatory when distributing the items here in Malawi. Primary, tertiary and secondary educational institutions all over the country have, are and will definitely continue receiving donations Vinjeru. Otherwise she could simply be donating to schools in her home district of Mzimba. Parents, in particular, are thanking her for emerging as a strong role model for their daughters in this remote part of Chitipa district. We are now convinced that her personal needs come after those of the poor Malawian children. May God bless her. We also wish to extend our vote of thanks to Vinjeru Education in Malawi as an organisation and to all those who donate willfully to this charitable organisation. From last year to date, we have received such items as a typewriter, a duplicating machine, a globe, a wall clock, many textbooks and several toys and books for nursery kids. Enclosed is a photograph showing students, teachers and parents behind the duplicating machine donated to the school by your organisation. This was a milestone in the history of the school. Through these donations, the school and the community at large has had a lot of problems solved. For example, examinations are now set, typed and duplicated here at Nthalire CDSS. We no longer cycle up and down the hills to Wenya (11km away) to duplicate our exams. This means that now we are able to follow our examination timetables well and that from now onwards assessment of our students will be done more frequently than before. Written and spoken English among our students is steadily improving due to the novels and newspapers from Vinjeru and as such their interest in school is also improving. The globe has made my geography lessons more practical than before. The girls in the school read the newspaper cuttings from Juddie with great pleasure and challenge as shown by contents of the attached letter from Chance Mughogho whose photo is also enclosed. Sending more of such papers would inspire them even more. The pencils labelled “Vinjeru Education in Malawi” were given to all Form Four students for use during the just ended 0 level exams as a reminder to them that intelligence (Vinjeru) is the only re1iabie road to success in examinations and not cheating. They were very thankfu1. The toys and books for kids were given to the nursery school formed in the area by Tiyanjare Community based organisation (CBO) for which I am a contact person. The CBO looks after orphans, the sick and the aged in the area. The toys have attracted up to over a hundred kids to the school. You can see that the impact of Vinjeru is reaching al1 people in Nthalire. To us Malawians, appreciating a thing by just saying “thank you” or Yewo is not being very cultural. It is because of this belief that we decided to buy a cloth for the Coordinator, Walije Gondwe. The cloth shows Grass-thatched houses in which most of us live and some chickens in the surroundings. This is just to remind you of the poverty of the people which Vinjeru Education in Malawi is helping here in Nthalire. Just imagine, how many chickens can one sell in order to buy a duplicating machine which costs well over MK650000.00? The letter from Walije early this year included a statement to the effect that the Anglican Vicar was about to throw away a duplicating machine because it was part of the outdated technology. I wish to let the British community realise that what seems useless there may actually represent modernity here in Malawi as the very same duplicating machine has done here at Nthalire. May God bless the Vicar for accepting to donate it to Vinjeru. I therefore wish to urge all well-wishers to donate anything that is functional to Vinjeru because these donations are taking our lives here to greater heights.